With rapid environmental degeneration and socio-economic development, the human settlement environment (HSE) has experienced dramatic changes and attracted attention from different communities. Consequently, the spatial-temporal evaluation of natural suitability of the human settlement environment (NSHSE) has become essential for understanding the patterns and dynamics of HSE, and for coordinating sustainable development among regional populations, resources, and environments. This study aims to explore the spatial-temporal evolution of NSHSE patterns in 1997, 2005, and 2009 in Fengjie County near the Three Gorges Reservoir Area (TGRA). A spatially weighted NSHSE model was established by integrating multi-source data (e.g., census data, meteorological data, remote sensing images, DEM data, and GIS data) into one framework, where the Ordinary Least Squares (OLS) linear regression model was applied to calculate the weights of indices in the NSHSE model. Results show that the trend of natural suitability has been first downward and then upward, which is evidenced by the disparity of NSHSE existing in the south, north, and central areas of Fengjie County. Results also reveal clustered NSHSE patterns for all 30 townships. Meanwhile, NSHSE has significant influence on population distribution, and 71.49% of the total population is living in moderate and high suitable districts. The Atmospheric Infrared Sounder (AIRS) can provide the profile information on atmospheric temperature and humidity in high vertical resolution. The assimilation of its radiances has been proven to improve the Numerical Weather Prediction (NWP) in global models. In this study, regional assimilation of AIRS radiances was carried out in a community assimilation system, using Gridpoint Statistical Interpolation (GSI) coupled with the Weather Research and Forecasting (WRF) model. The AIRS channel selection, quality control, and radiances bias correction were examined and illustrated for optimized assimilation. The bias correction scheme in the regional model showed that corrections on most of the channels produce satisfactory results except for several land surface channels. The assimilation and forecast experiments were carried out for three typhoon cases (Saola, Damrey, and Haikui in 2012) with and without including AIRS radiances. Results show that the assimilation of AIRS radiances into the WRF/GSI model improves both the typhoon track and intensity in a 72-hour forecast. Accurate travel time prediction is undoubtedly of importance to both traffic managers and travelers. In highly-urbanized areas, trip-oriented travel time prediction (TOTTP) is valuable to travelers rather than traffic managers as the former usually expect to know the travel time of a trip which may cross over multiple road sections. There are two obstacles to the development of TOTTP, including traffic complexity and traffic data coverage. With large scale historical vehicle trajectory data and meteorology data, this research develops a BPNN-based approach through integrating multiple factors affecting trip travel time into a BPNN model to predict trip-oriented travel time for OD pairs in urban network. Results of experiments demonstrate that it helps discover the dominate trends of travel time changes daily and weekly, and the impact of weather conditions is non-trivial. Measurements of brightness temperatures from Advanced Microwave Sounding Unit-A (AMSU-A) temperature sounding instruments onboard NOAA Polar-orbiting Operational Environmental Satellites (POES) have been extensively used for studying atmospheric temperature trends over the past several decades. Inter-sensor biases, orbital drifts and diurnal variations of atmospheric and surface temperatures must be considered before using a merged long-term time series of AMSU-A measurements from NOAA-15, -18, -19 and MetOp-A. We study the impacts of the orbital drift and orbital differences of local equator crossing times (LECTs) on temperature trends derivable from AMSU-A using near-nadir observations from NOAA-15, NOAA-18, NOAA-19, and MetOp-A during 1998−2014 over the Amazon rainforest. The double difference method is firstly applied to estimation of inter-sensor biases between any two satellites during their overlapping time period. The inter-calibrated observations are then used to generate a monthly mean diurnal cycle of brightness temperature for each AMSU-A channel. A diurnal correction is finally applied each channel to obtain AMSU-A data valid at the same local time. Impacts of the inter-sensor bias correction and diurnal correction on the AMSU-A derived long-term atmospheric temperature trends are separately quantified and compared with those derived from original data. It is shown that the orbital drift and differences of LECT among different POESs induce a large uncertainty in AMSU-A derived long-term warming/cooling trends. After applying an inter-sensor bias correction and a diurnal correction, the warming trends at different local times, which are approximately the same, are smaller by half than the trends derived without applying these corrections. Phytoplankton blooms in the Western North Pacific, triggered by two successive typhoons with different intensities and translation speeds under different pre-existing oceanic conditions, were observed and analyzed using remotely sensed chlorophyll-a (Chl-a), sea surface temperature (SST), and sea surface height anomaly (SSHA) data, as well as typhoon parameters and CTD (conductivity, temperature, and depth) profiles. Typhoon Sinlaku, with relatively weaker intensity and slower translation speed, induced a stronger phytoplankton bloom than Jangmi with stronger intensity and faster translation speed (Chl-a>0.18 mg·m−3 versus Chl-a<0.15 mg·m−3) east of Taiwan Island. Translation speed may be one of the important mechanisms that affect phytoplankton blooms in the study area. Pre-existing cyclonic circulations provided a relatively unstable thermodynamic structure for Sinlaku, and therefore cold water with rich nutrients could be brought up easily. The mixed-layer deepening caused by Typhoon Sinlaku, which occurred first, could have triggered an unfavorable condition for the phytoplankton bloom induced by Typhoon Jangmi which followed afterwards. The sea surface temperature cooling by Jangmi was suppressed due to the presence of the thick upper-ocean mixed-layer, which prevented the deeper cold water from being entrained into the upper-ocean mixed layer, leading to a weaker phytoplankton augment. The present study suggests that both wind (including typhoon translation speed and intensity) and pre-existing conditions (e.g., mixed-layer depths, eddies, and nutrients) play important roles in the strong phytoplankton bloom, and are responsible for the stronger phytoplankton bloom after Sinlaku’s passage than that after Jangmi’s passage. A new typhoon-influencing parameter is introduced that combines the effects of the typhoon forcing (including the typhoon intensity and translation speed) and the oceanic pre-condition. This parameter shows that the forcing effect of Sinlaku was stronger than that of Jangmi. Simple statistical models were developed to relate available meteorological data with daily river discharge (RD) for rivers not influenced by melting of ice and snow. In a case study of the Vouga River (Portugal), the RD could be determined by a linear combination of the recent (PR) and non-recent (PNR) atmospheric precipitation history. It was found that a simple linear model including only PR and PNR cannot account for low RD. The model was improved by including non-linear terms of precipitation that accounted for the water loss. Additional improvement of the models was possible by including average monthly air temperature (T). The best model was robust when up to 60% of the original data were randomly removed. The advantage is the simplicity of the models, which take into account only PR, PNR and T. These models can provide a useful tool for RD estimation from current meteorological data. 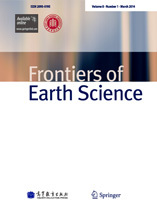 This article describes a global consistency check of CO2 satellite retrieval products from the Atmospheric Infrared Sounder (AIRS) and Infrared Atmospheric Sounding Interferometer (IASI) using statistical analysis and data from the World Data Centre for Greenhouse Gases (WDCGG). We use the correlation coefficient (r), relative difference (RD), root mean square errors (RMSE), and mean bias error (MBE) as evaluation indicators for this study. Statistical results show that a linear positive correlation between AIRS/IASI and WDCGG data occurs for most regions around the world. Temporal and spatial variations of these statistical quantities reflect obvious differences between satellite-derived and ground-based data based on geographic position, especially for stations near areas of intense human activities in the Northern Hemisphere. It is noteworthy that there appears to be a very weak correlation between AIRS/IASI data and ten ground-based observation stations in Europe, Asia, and North America. These results indicate that retrieval products from the two satellite-based instruments studied should be used with great caution. Interactive effects of multiple environmental stresses are predicted to have a negative effect on cotton growth and development and these effects will be exacerbated in the future climate. The objectives of this study were to test the hypothesis that cotton cultivars differ in their responses to multiple environmental factors of (CO2) [400 and 750 µmol·mol−1 (+(CO2)], temperature [28/20 and 20/12°C (−T)], and UV−B radiation [0 and 10 kJ·m−2·d−1 (+UV−B)]. A genetic and molecular standard (TM-1) and three modern cotton cultivars (DP1522B2XF, PHY496W3R, and ST4747GLB2) were grown in eight sunlit, controlled environment chambers with control treatment 400 µmol·mol−1 [CO2], 28/21°C temperature, and 0 kJ UV−B. The results showed significant differences among the cultivars for most of the shoot and root parameters. Plants grown under low temperature alone or as a combination with+UV−B treatment caused more detrimental effects on root and shoot vigor. Although the elevated CO2 treatments weakened the damaging effects of higher UV−B levels on cotton growth on all cultivars, increased CO2 could not mask the negative effects of low temperature. When comparing all cultivars, genetic standard TM-1 produced the smallest values for the majority of traits under CO2, UV−B, and low temperature either alone or in combination with other treatments. Based on principal component analysis, the four cultivars were classified as tolerant (DP1522B2XF), intermediate (PHY496W3R and ST4747GLB2) and sensitive (TM-1) to multiple environmental stresses.Low temperature was identified as the most damaging treatment to cotton early seedling vigor while elevated CO2 caused the least. Existing variability of cotton cultivars in response to multiple environmental stresses could allow for selection of cultivars with the best coping ability and higher lint yield for future climate change environments.